I spent the last weekend of spring break visiting my sister in Rochester, New York. She’s moving from there soon and kept saying “Come visit me and eat all the good vegan food up here!” So I finally took her up on the offer. I arrived early in the afternoon and we immediately went to John’s Tex Mex. The place was small, but not too cramped and with very friendly staff. We started off with chips and a flavorful chunky salsa. 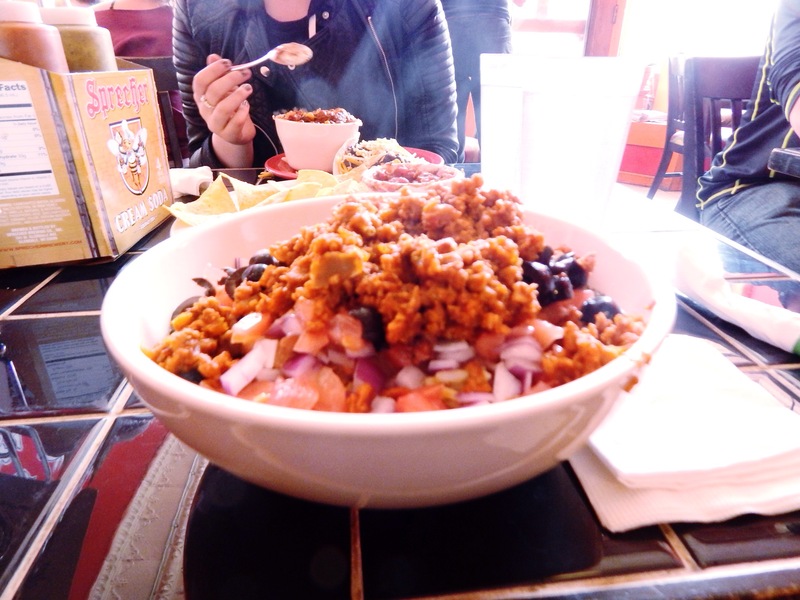 I ordered the un-beef burrito bowl with refried beans, rice, lettuce, tomatoes, red onion, and olives. It was served with a side of Cholula hot sauce and two house-made salsa (salsa verde and chipotle) which were fantastic. I honestly expected it to be smaller, with about the size of burrito filling, but the meal was so ridiculously huge that I ended up getting two meals and a midnight snack out of the one bowl. Not that I’m complaining, we definitely got a bang for our buck here. Street art was prevalent throughout Rochester. I saw the image below, a lot of illegal graffiti, a several professional murals. Poor Kaitlin had to deal with me pressing my face up to the window every time we drove somewhere or trying to roll down the window to snap a picture. I settled for the one vegan menu item, the hummus wrap. Apparently their hummus flavor changes on a daily basis, and that day was chipotle. I was pleasantly surprised with how this one turned out. I’ve had a few too many hummus wraps that were under-flavored with sad wilted vegetables stuffed inside. But this wrap was nicely toasted and stuffed with mixed greens, tomato, and cucumber. It was served with a side of balsamic tossed greens. For entertainment that night we stopped by The Little Theatre to see It Follows. The theatre was adorable and plays mostly independent movies. The movie itself was just okay. The positives were a creepy soundtrack and story concept, but it was nearly overshadowed by some very stiff acting. 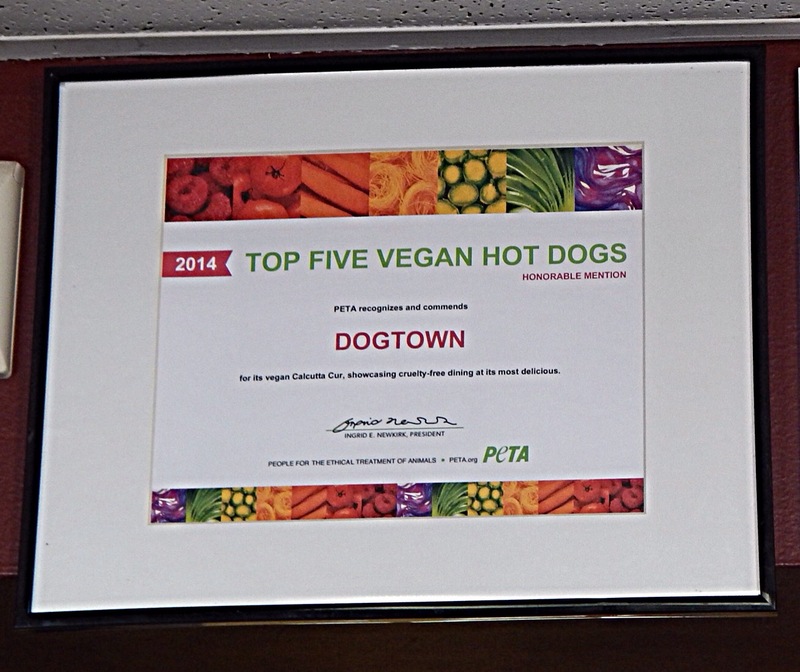 Before I left Alabama, I’d heard multiple times to go eat at Dogtown when I got to NY. Since my life dream is to own a vegan hot dog cart, I think it makes sense to take any opportunity to try a new veggie dog. Inside the restaurant was pretty packed, so we ended up ordering our food to-go. The décor (and menu names) were all dog themed, and even included this adorable wall of customers’ dogs. What I ended up ordering, after staring open-mouthed at the menu board and the plethora of options for a while, was the vegan German Shephard. It was a veggie dog with saurkraut, yellow mustard, and cooked onions. The bun was also phenominally hearty (soggy buns make me sad) and didn’t fall apart before I finished the hot dog. Served on the side were fries and ketchup. The East End area had a ton of cute little shops. 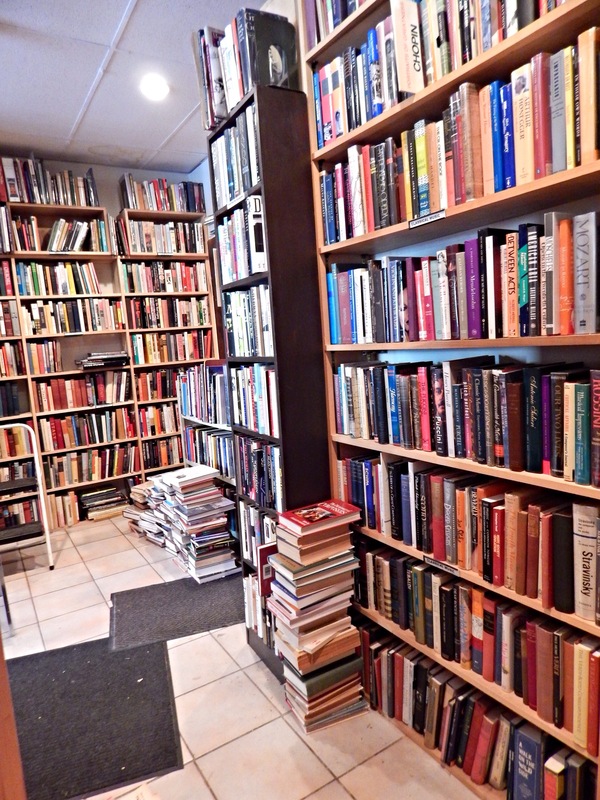 One of which was Greenwood Books, a used bookstore with books ranging in topic from vintage piano sheet music to Appalachian herbal medicine. Unsurprisingly, I found a book that I needed. This vegetarian cookbook combined two things I love: food and travel. What’s not to like? Since returning home, I’ve already tried the beer battered tofu recipe (from the England section) and it was fantastic. We’ll see, soon we may have a monthly “travel” meal to other countries. On my final night in Rochester we ate at the Red Fern, an entirely vegan restaurant. I ordered the Compost Plate, a nice play on the trash plate that Rochester is famous for. All piled together, it featured pasta salad, a chilled sweet potato salad, balsamic tossed mixed greens, and buffalo tempeh. Everything tasted fantastic, my only complaint was that the buffalo was not hot at all. Kaitlin said that she’s had a hard time finding anything actually spicy in the north, and that southern states seem to be better at accurately labeling things as “hot”. Kaitlin decided to partake in the buffalo sandwich, which featured the same buffalo tempeh as my plate, stacked together with pickled vegetables and bleu cheese sauce. After trying a bite, I could happily live without a vegan replacement for bleu cheese (bleck!) but the otherwise the sandwich was very tasty, especially the fresh soft bun it was served on. Ending a rough Monday with an easy and tasty meal is ideal, so today I relied upon a dish coveted by many college students: ramen. A Disney film that features this is Ponyo, a light-hearted Studio Ghibli movie that focuses on a friendship… and fish. Ponyo starts as a cute little fish-girl living with her alchemist father under the sea. Her curiosity is never ending and because of this she loves visiting the human world. As Ponyo keeps interacting with humans, especially her new friend Sosuke, she evolves into an adorable little person. The problems arise when she risks becoming too human, and her father tries to return her to the sea. Despite all this, Ponyo is always one to have a good time. Especially when it involves ham. Throughout the film she is fed ham at various times and is usually followed by her screaming “HAAAMM!” enthusiastically. It’s quite adorable, and inspired me to try an oddly tasty food combination from the film: ham and ramen. The following recipe might be a bit on the spicy side for some, so adjust the sriracha as needed. I skipped making a mock hard boiled egg, but if you prefer one for authenticity’s sake then Meet the Shannons has a good recipe. In a pot mix the vegetable broth, sesame oil, agave, soy sauce, and sriracha. Bring to a boil and stir in the ramen noodles. Cook for 3 minutes, then set aside for 5 minute. Place each serving in a bowl and top with green onions and ham. Serve while watching this whimsical movie!